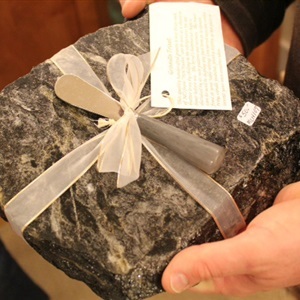 Granite Cheese Board Approx 8" x 8"
Granite Cheese Board makes a Great Gift. Wrapped in a bow, and includes a cheese knife. Refrigerate ahead of time and keep the cheese cool while serving! Size is approximately 8" x 8", but the actual size will vary. Colors subject to availability.